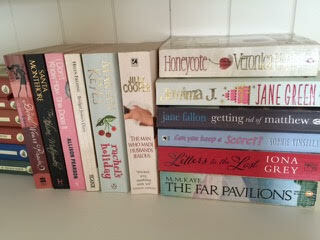 My Book Corner is a feature I usually run on Sundays here at Lozza's Book Corner, so today I have a special treat for you. 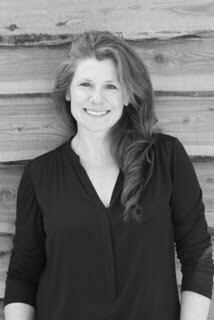 Penny Parkes is a lovely author - I know as I met her back in March at the Spring Blogger Evening - so when she asked to come on the blog near her publication date I was more than happy to make an exception! 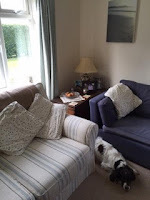 Although I have a lovely desk, it's covered in paperwork more often that not , so I mostly migrate to the sofa with my laptop on my knees and The Ancient Spaniel beside me. I can actually write for much longer if I’m relaxed and comfortable and have a ready supply of caffeine. Then I can disappear off to my fictional town of Larkford for hours on end and often have to set an alarm to remind me to do the school run! I have a shelf in my bedroom where I put a selection of my favourites - books I can return to again and again and still feel transported and inspired. Marian Keyes, Jane Fallon and Jilly Cooper are almost timeless in their humour and wry observation and never fail to give me a lift. During term-time, I try to balance my day - writing all morning and then doing something completely different for an hour or so - swimming, walking, driving - these are the times, when my mind is in neutral, that the ideas begin to take shape and plotlines fall into place - I can then spend the afternoon putting it all together. Lines of dialogue and ideas get jotted down everywhere and I get through an awful lot of Post-its! 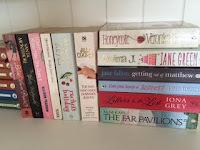 I have a TBR pile (okay two, because the first one got precarious) by the side of my bed… I try and read paperbacks wherever I can and save the Kindle for holidays and travelling. 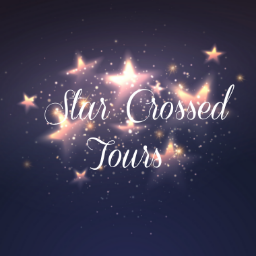 If I’ve thoroughly enjoyed reading something - to the point that I feel really sad it’s over - then I will read from a different genre next, so I don’t dilute the characters in my mind. For that reason, my TBR pile is kind of eclectic. 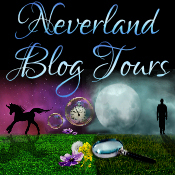 You can find me on Twitter as @Cotswoldpenny and on Facebook as PennyParkesWrites. 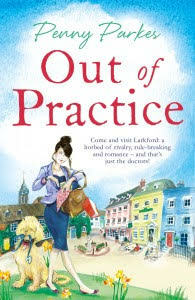 Out of Practice - the first in the Larkford series - is out on e-book on 23rd May and in paperback on 28th July.